Engineering organisations from around the world – consisting of some two million engineers in total – have supported the UN secretary general’s Sustainable Energy for All Initiative, it was announced today at the forum. These include institutes and organisations from Chile, India, Malaysia, Maurititus, South Africa and Zimbabwe, as well as the Society of Women Engineers. “Engineers did more than any other profession to improve the quality of life over the past century,” Gordon W. Day, president of IEEE said. He gave examples of energy, computing, health and transportation technologies. Engineers are keen to complete “the unfinished business” – providing basic technologies and amenities, such as electricity, to people around the world. India and Sub-Saharan Africa consume only a third of the world’s average energy consumption – bringing them up will require much more energy creation, presenting a challenge to engineering, he said. To boost innovation it is fundamental to create skilled high-tech workforce drawing upon talents of citizens – and this requires strong education system. Success examples of countries achieving this are Korea, Singapore, China, India and Brazil. Engineers are creative in the same way as artists are, he said. And engineering is also a “major job creator”m Kalonji added. Research on humanitarian responses to emergencies faces practical challenges relating to data collection and feasibility. In addition, there are often sensitive ethical implications relating to carrying out research in such conditions. 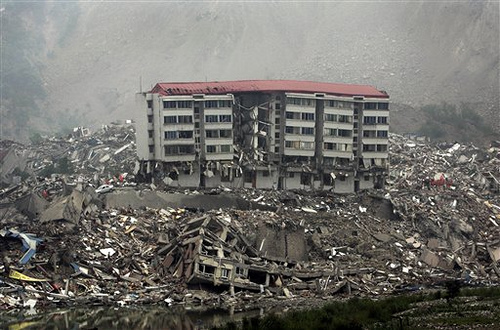 A case study presented at Forum 2012 by Jun Yan, director of the mental health division of China’s Ministry of Health, and Sun Xueli of Sichuan University, looked at some of the experiences relating to mental health services after the deadly 7.9 magnitude earthquake near Wenchuan, in the Sichuan province, in May 2008. More than 69,000 people had died, a further 370,000 were injured, with about 4.8 million people left homeless: in total 40 million people were affected by the disaster. A guideline for psychological crisis intervention in emergency situations was published by the Chinese ministry of health, five days after the disaster. Among the responses was a post-disaster mental health aid project aimed at adolescents and children. This was prompted by the fact that many thousands of school children had died, and at least 7,000 school buildings in the province had collapsed. There were very few counsellors to provide mental health support services to children, said Jun, and teachers were ill-prepared to take on the task. The challenge was to find quick, effective ways to treat mental problems among the affected children, and to help them get through the traumatic period following the disaster. The response programme included setting up an education-healthcare mental health platform, based on local educational administrative departments. A major resource was the West China Hospital of the Sichuan University, which has one of the best mental health centres in China and which formed the core of an expert group providing professional guidance. Support also came from the numerous motivated volunteers. A pilot study was aimed at collecting evidence through a baseline survey, creating service teams, developing training material and guidelines, equipping facilities, training the trainers, and organising working teams. The subsequent programme actions included, among others, group therapy for high-risk students, family support and therapy, prevention interventions focusing on single-parent and divorced, training teaching staff to integrate mental health issues into regular teaching, and building school counselling centres. As an extension of the programme, a mental health outpatient service was set up in villages and towns by training part-time and full-time primary mental health staff. Lessons learnt included the importance of multi-sector coordination and participation with government leading; the need for a provincial level expert group (consisting of psychiatrists, as well as educational and public health experts) to provide professional guidance; and support from private bodies, both locally and internationally. This blog post is part of our Forum 2012 coverage — which takes place 24–26 April 2012. Can poor countries produce their own drugs? Can lower and middle income countries (LMICs) engage in producing the drugs needed to combat neglected tropical diseases? And to what extent do their governments hold the key that will allow them to do so? These questions led to a lively round-table discussion at Forum 2012 chaired by Elizabeth Ponder, associate director for scientific affairs at BVGH in the United States. Ponder pointed out that neglected diseases affect more than 1 billion people around the world. Millions of people in resource-poor countries die from these diseases, she said, because life-saving drugs, vaccines, and diagnostics are inaccessible, outdated, unsafe, ineffective – or not yet created. The challenge was put to a panel representing a wide range of interested government bodies, NGOs, funders, and research laboratories, as well as the private biopharmaceutical sector . Most panelists agreed that capacity was not the problem; many lower and middle income countries had the scientists and technologies needed to develop the relevant products. The main problem lay in raising the funding needed to get the drugs into production, and to ensure that they were distributed to where they were required. And this frequently required a political – as well as a financial – commitment. Jean-Pierre Paccaud, director of business development at Drugs for Neglected Diseases initiative in Switzerland, said that it was important to understand the specific needs of the areas in which diseases occurred, and then to focus on leveraging local capacities. Konji Sebati, director of the department of traditional knowledge and global challenges at the World Intellectual Property Organization in Switzerland, said that lobbying governments was important since “without political will nothing will change”. According to David Walwyn, chief commercialisation officer with the company iThemba Pharmaceuticals in South Africa, “it is important to articulate clearly to governments what we want, and to set clear targets.” Universally-accepted goals were needed so that progress could be monitored. Turning research into innovation is a complex issue. It requires considerable human, financial and other resources. And these must be drawn together by strategies that work within specific local contexts. At a session at Forum 2012 examining investments that have been made in Africa to address outstanding issues of research and innovation for health and development, Hannah Akuffo, deputy head of the Research Cooperation Unit at the Swedish International Development Cooperation Agency, proposed the creation of a global facility to fund and monitor innovation on the continent. “Governments need to invest innovation, not only in their own countries but also into the continent,” said Akuffo, who believes such a facility could combine practice with training, and both conduct studies on and monitor the evolution of innovation systems. It would also formulate medium-term strategies and tactics for supporting innovation, and attract partners for collaborative efforts to increase both quantity and quality of innovations, focussing on the need for inclusive development. Akuffo suggested an international host for such an initiative – ideally an intergovernmental organisation such as UNESO or UNDO – but that there should be a gradual shift of responsibility for specific programmes to the national level. Partners for regional organisations could come from high-income countries and NGOs. 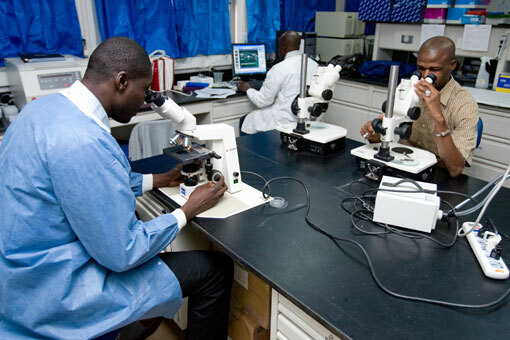 Funding might be drawn from a combination of multinational donors, development banks, donors and international aid organisations involved in science and technology. Partner countries would provide funding out of their regular budgets. The session was chaired by Peter Ndumbe, responsible for research, publication and library services at the WHO Regional Office for Africa, and included a review of South Africa’s Strategic Management Framework, created to stimulate local health innovation, by Glaudina Loots, director of health innovation at the Department of Science and Technology. Case studies of successful programmes supporting innovation were presented by Budzanani Tacheba, of the Botswana Innovation Hub, and Hassan Mshinda of the Tanzanian Commission for Science and Technology. Tacheba, quoting Steve Jobs’ comment that “innovation distinguishes between a leader and a follower,” described how the Botswana initiative is aimed at helping the country to compete in global markets, providing a home for knowledge-intensive, technology-driven businesses. 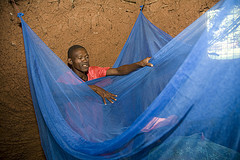 In Tanzania, Mshinda said that research into the way that insecticide-treated nets contribute to the fight against malaria had led to the creation of a successful manufacturing industry that was currently producing 50% of the global output of bednets. Research had earlier shown that the nets reduce malaria parasitaemia and anaemia by 60%, and improve child survival rates by 27%. A well-planned programme had led to Tanzania’s doubling the value of its export of nets, from US$50 million in 2008 to US$100 million in 2010, and to an industry that now employs employing 7,000 people. Innovation is far from dead on the African continent. Women researchers have long explored the frontiers of knowledge, and have in the process made major contributions towards meeting health and development challenges, according to the moderator of a panel discussion at Forum 2012 on the role of women in science in the developing world. 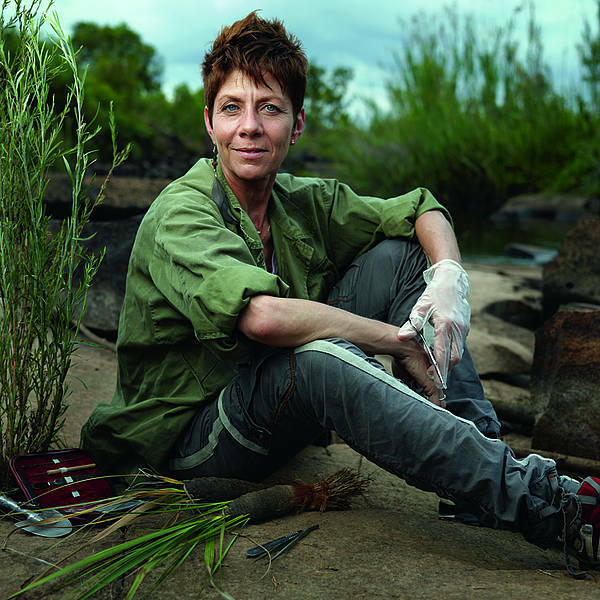 Yet Jill Farrant, professor of molecular and cell biology at the University of Cape Town, and an expert on resurrection plants – plants that can ‘come back to life’ from a desiccated state when rehydrated – pointed out that women have not necessarily received recognition for their achievements. For example, said Farrant, one of the 2012 winners of the L’Oréal-UNESCO Awards for Women in Science, only 16 Nobel Prizes have been awarded to women, compared to more than 500 men. Nashima Badsha, an advisor to the South African Minister of Science and Technology, said that gender equality was protected by the country’s constitution, and that, especially in higher education, the statistics were encouraging. Women made up most enrolments and graduates in universities, and at PhD level, the number of women was fast approaching that of men. But these figures masked less encouraging details. For example, women still only accounted for a third of publishing scientists in South Africa, while black women were under-represented in science, and the overall employment of women in higher education was under 18% – below that in other BRICS countries. In Brazil, according to Claude Pirmez, vice president for research at the Oswaldo Cruz Foundation in Rio de Janeiro, the number of women holding PhDs was growing strongly. But the highest positions in science were still dominated by men – the Brazilian Academy of Science, for example, remained 90% male. Javie Ssozi, a digital media consultant from Uganda, described how information and communication technologies were giving women access to opportunities and information sharing. For example, rural women farmers could be given information about new agricultural skills or ways to deal with climate change. But he added that policies were often not gender sensitive, and that projects could be influenced by cultural issues. For example, men often tried to decide when and how women used their mobile phones. Finally, for Devaki Nambiar, a postdoctoral research fellow in the Public Health Foundation of India, a key issue was the personal safety of women in society. “If you can’t leave your home in safety, how can you make progress in science and technology?” she asked. But noticeably, all but one member of the discussion panel were females, and they spoke in front of an audience consisting mainly of women. Perhaps a case of preaching to the converted? At the registration counter for the 21st General Meeting of the Academy of Sciences for the Developing World (TWAS), in Hyderabad, India, this morning, a young volunteer mistakenly assumed that I must have come as a delegate’s spouse. This reminded me of one of my favourite anecdotes about a French teenager’s description of a science academy as a club of old gentlemen. French physicist and former co-chair of the InterAcademy Panel, the global network of science academies, Yves Quéré wrote in Nature that the teenager unwittingly zeroed in on three problematic features of science academies: few women, few young people and their modus operandi being akin to private clubs. Shrugging sniggers from men, I will focus on the first point: few women. At this meeting women participants form about a tenth of the entire meeting. This, some women participants assured me, is a generous estimate. A 2004 report on science careers of Indian women, published by the Indian Academy of Sciences, says women form less than 5 per cent of fellows of each of the three major science academies in India: Indian National Science Academy, Indian Academy of Sciences and the National Academy of Agricultural Sciences. This seems reflective of the more general gender malaise. A 2006 report of the InterAcademy Council says 95 per cent of science academy members world over are men. In the United States, the proportion of women scientists in the National Academy of Sciences is around seven per cent, and in the UK’s Royal Society only 4.5 per cent. Recent years have seen repeated calls for more incentives for women in research. I must say the Philippines is refreshingly ahead of India on this front. The National Academy of Science and Technology in the Philippines has had a woman head for at least two terms. “Academies must set an example for all of the world to see of welcoming women scientists and engineers to their ranks and treating them as full partners with men,” the IAC report said four years ago. I am not confident that the academies have taken this seriously yet. TWAS – an overwhelmingly grey and male affair – is trying to get more female and young scientists involved in their activities. This was the main message from the general meeting of TWAS members this morning preceding the official opening ceremony of the conference. The organisation is preparing a strategic plan, to come into force next year. Women, youth and having a more direct impact on policy are some of the important issues to be highlighted in the plan. To the organisation’s credit, a record number of female scientists were elected to TWAS in 2009. But the women – eight this year – still only make up a small part of the 50 new members announced this year. Of all the members of TWAS, only 7-8 per cent are women. The meeting also heard that there will be more activities involving young scientists at next year’s TWAS conference in Hyderabad, India. All this sounds good. But some members complained that there was not enough emphasis on basic, and in particular experimental, science in the new TWAS strategy.